Some people get excited when they find out they're pregnant. Then some don't want kids or don't feel ready. There's a whole range of emotions. But what about anime characters? How did they feel? Hello internet meme! Below, you can see some pregnancy announcement Photoshops. Keep in mind that they don't have to be anime characters. 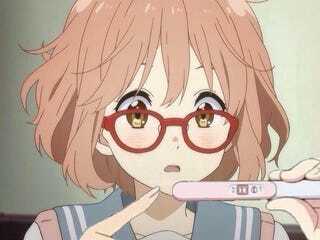 That, and the fact that anime characters don't really get pregnant.